This highly effective cream cleaner from Ecover degreases and removes obstinate stains without scratching, and contains no petrochemical based ingredients. 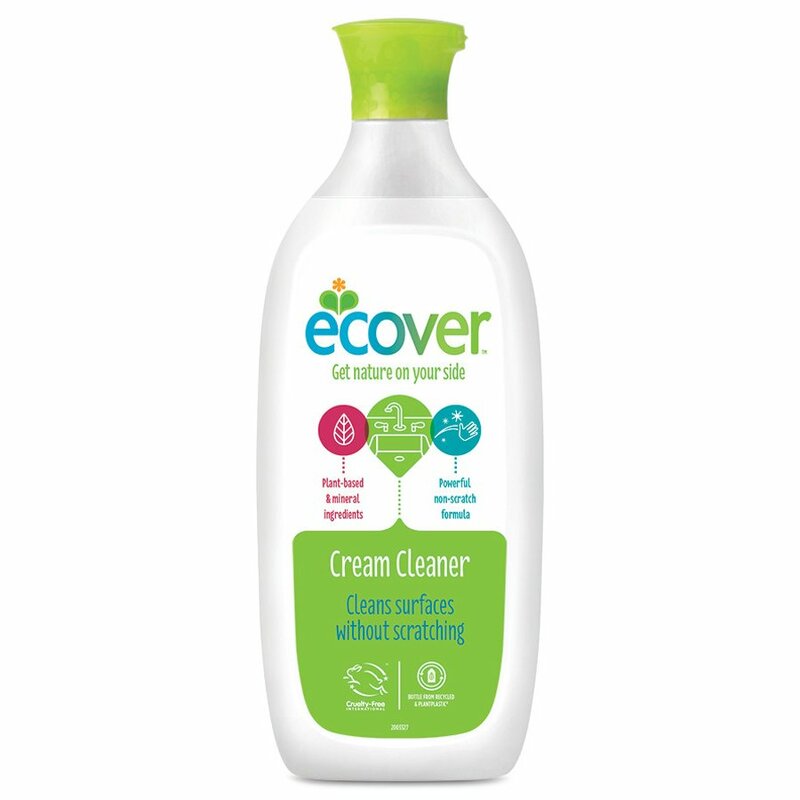 Ecover cream cleaner leaves no residue of unnecessary chemicals, and has the optimum level of biodegradability. The container is made from polyethylene and polypropylene, both of which are biodegradable and can be recycled together using a low energy process. Apply directly to the surface or onto a wet sponge, clean, and rinse. The Ecover Cream Cleaner - 500ml product ethics are indicated below. To learn more about these product ethics and to see related products, follow the links below. Does the job and eco friendly too. Q: Hi, does this product contain animal ingredients? A: Good Morning, This product does not contain animal ingredients. I hope this helps.